There’s nothing like a bright piece of con news on a Monday morning. And it’s a fantastic one today! 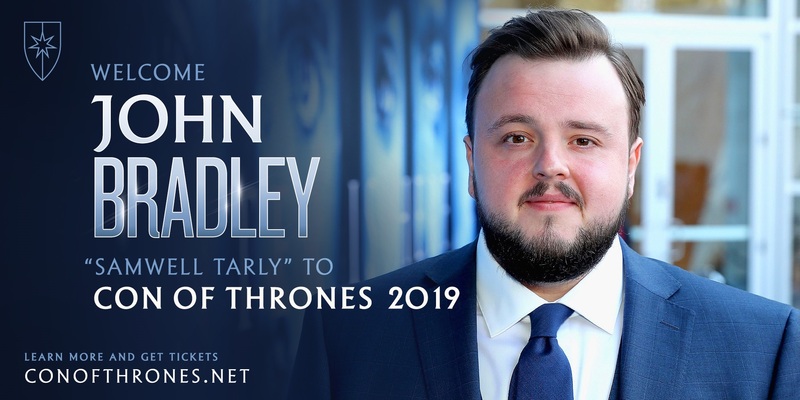 Con of Thrones has announced that Game of Thrones star John Bradley (Samwell Tarly) will appear at Con of Thrones 2019 on Friday, July 12, and Saturday, July 13. Bradley joins a growing lineup already including GoT star Nikolaj Coster-Waldau, announced in January. Last week it was announced that fan-favorite podcasts History of Westeros and A Storm of Spoilers will be returning for this year’s con. Bradley has been with the show since season one as the smartest member of the Night’s Watch, and best friend to Jon Snow. This will be the actor’s debut appearance at Con of Thrones, hot on the heels of the final season of Game of Thrones. Con of Thrones, the premier convention for fans of Game of Thrones, A Song of Ice and Fire, and the epic worlds of fantasy author George R. R. Martin, will take place in Nashville, Tennessee, at the Music City Center July 12–14. Tickets are available for purchase at ConOfThrones.net/register. Autograph and photograph experiences with Bradley are available for purchase now. Autographs are $65 and photographs are $85. Visit the official website for more details! Con of Thrones is produced by Mischief Management, and Watchers on the Wall is the official programming partner. The deadline to submit your panel ideas is approaching fast so get your submissions in now. We’re loving what we’ve seen so far, and we can’t wait to share with you all in Nashville what we’ve been working on this year! Nice! Cheaper autograph and photo then Nikolaj as well. It’ll be so great to reunite with my old friend John! Has he slimmed down like GRRM apparently has? Well of course he is cheaper than NCW. NCW will be appearing in his first fan event as King Jaime, first of his name. (or as dead Jaime due to some heroic sacrifice!). That cost money – a king’s ransom. Sam will just be lovely Sam. Maybe head at the Citadel? Lord of Hornhill? Nikolaj has done plenty of conventions. He was at Vegas Fan Fusion in September last year and it was $80 a piece for an autograph and photo op. I know he has done many of these before. Just re-read the sentence, sorry if it is badly set up. This will be his first fan event as KING JAIME…hence the pop up in price. He was $80.00 as just Jaime the one-handed guy when he attended these sessions before. Got it? Either that or NCW does not want to come and demanded a big fee. I would make sure that the fee is refundable as he might not turn up. I know he has done many of these before. Just r-read the sentence, sorry if it is badly set up. 😀😀 I see what you mean. Hey, I’m a Jaime fan, so King Jaime wouldn’t be too shabby. Not very likely though lol. 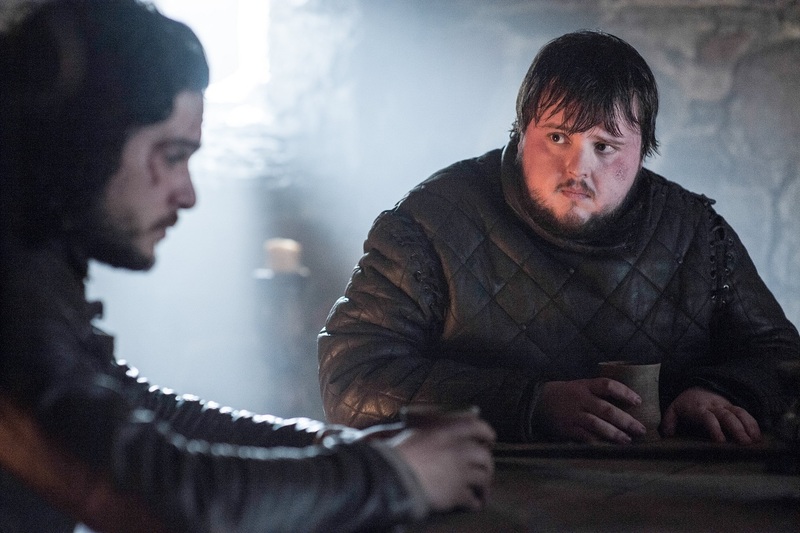 Either way, Nikolaj and John Bradley are great gets for the con. Looking forward to more announcements.